For long, the USA has reigned supreme as the preferred study abroad destination for many Indian students. With the finest universities for many specializations, it is a definite choice for many. But with increasing awareness & understanding of specializations, courses & job opportunities post study, other countries like Canada, Germany & Scandinavian countries are becoming increasingly popular. In fact, what makes the prospect of studying in these countries more attractive is the wonderfully low costs of living, high-quality social welfare, access to cutting-edge scientific innovations and developments, and most importantly, world-class higher education for free! Yes, you read that right—most of the European countries have made higher education free in order to encourage young people to enroll in universities, a benefit that has increasingly been reaped by Indian students too. In that aspect, here’s a detailed expert review of one of the most popular universities in Germany – RWTH Aachen. 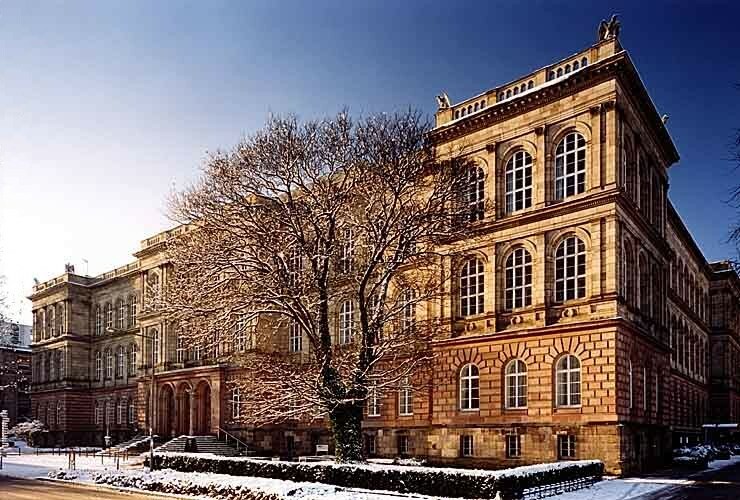 RWTH Aachen, located in the picturesque city of Aachen, Germany, was established in 1870 and is today one of the finest research-driven universities in Germany. With more than 42,000 students across 144 programs and disciplines, it is also the largest technical university in the country. What is a Technical University? Technical University or Hochschule is a higher education institution that offers a highly research-centric Master’s degree. It is ideal for students who are looking to become subject experts or academicians in their respective fields of interest. Students who are looking to pursue their PhD are also usually advised to target TU’s. On the other hand, University of Applied Sciences (UAS) or Fachhochschule offers a Master’s degree with a more hands-on in its approach, with a deeper focus on practical, real-world application and is not as theory-oriented as the Technical University. Usually, students enrolled in the University have to compulsorily undertake an industrial training/internship as part of their curriculum. Generally, Universities of Applied Sciences only offer a bachelor’s and master’s degree, as they do not undertake any research. However, Technical Universities offer PhDs too, as they are more academically inclined than Applied Sciences. Students who apply to Technical Universities are those who are of a more academic bent of mind; those applying to Applied Sciences are usually desirous of vocational training and aim to secure employment. With an acceptance rate of about 10%, RWTH Aachen is one of the most selective schools in Europe, with a strong emphasis on academic excellence. Therefore, a stellar academic record is a definite prerequisite, but in addition to that, there are several other criteria you must fulfill in order to qualify for admissions. #1: A qualifying undergraduate degree: You must have, at the time of applications, successfully completed an undergraduate degree from a recognised university, with a good CGPA. Because the Masters degree at RWTH Aachen is consecutive, that is, builds up on the knowledge developed in your undergraduate degree, your degree must be in a relevant field. #2: Demonstration of language skills: The language of instruction for most courses at RWTH Aachen is German, therefore the applicant must be able to demonstrate a strong command over the language by furnishing the necessary language certificates. If you are not fluent in German, however, don’t fret! You may enroll for German language courses at the Goethe-Institute in your city of residence, or you can opt to study through the Deutsch-Uni-Online or DUO, which offers recognized online language courses. Additionally, you may also choose to undertake the German language course offered at RWTH Aachen, which prepares you for several German language tests, for a nominal fee. For further information on language requirements, please visit the official website. What perceptions do you have when thinking of studies in Germany? Why do you want to study at RWTH Aachen? Why do you want to study this specific subject? Please mention your past academic or university experiences. Where did you receive information about RWTH Aachen and your desired subject? What career prospects do you hope to obtain by studying at RWTH Aachen? [Read]: How To Convert Your CGPA To Match German University Standards! Summer’18 intake is January 15th, 2018. However, most Master’s programmes only have a winter intake, so make sure you apply on time! Life at RWTH is an exciting, dynamic one, with students from over 130 countries living and studying on campus. With a sprawling, 620 acre campus located in the heart of the city, RWTH Aachen is a truly global campus, bringing to you the best of cutting-edge infrastructural facilities to make your stay a breeze. The campus is fully equipped with world-class facilities, including the Main Building, the SuperC Student’s Centre, the Audimax, and the main refectory. The campus also boasts a scenic botanical garden. In 2017, the construction of Central Auditorium for Research and Learning (CARL) was completed. The auditorium, which houses a number of lecture halls, has a capacity of 4000 students and is the very symbol of RWTH’s glory and pride. 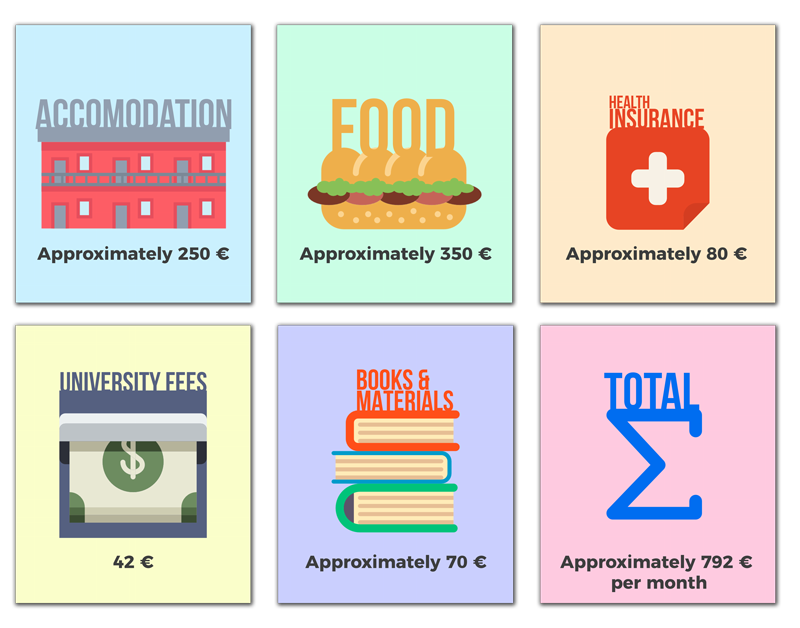 Unlike the USA, campus accommodation is not available in most German universities. Therefore, it is the responsibility of the student to search and apply for housing around the campus. To make your apartment hunting easier, please visit the website to find further information about how and where to apply for accommodation. If you are still stuck, you can email the International Office Housing Service, who will be happy to help you out. We hope you found this university review helpful! To find out how ready you are for Fall ’18, just take this short 4-minute quiz and learn the step-by-step process to top university admits! German admission procedures place a very high emphasis on GPA. Therefore, having a live backlog in a core subject while applying is not advisable. It’s best to apply after you’ve cleared your paper. In the meantime, you can focus on developing your German language proficiency to at least A2 level or take up internships to boost your profile. After all, practical experience can significantly improve your admission chances too. University of Southern California is a reputed university and is very popular among students for MS in CS & Electrical Engg. Scoring a 330+ in GRE with relevant profile details like research experience/internships & a persuasive SOP can surely increase your admission chances. hi shreyas ! I currently pursue a bachelors degree in ECE – electronics and communication engineering , is it possible for me to pursue a M.S in Automotive Engineering. Switching majors is definitely possible but a little tricky. For example, in the US, certain universities accept students of different backgrounds but may require you to take certain pre-requisite courses that you may have missed as part of your UG. Since you’re still in college, take up projects that are related to your future field of interest. Also, ensure you have some relevant practical experience in the automotive field through internships. This will help increase your admission chances along with a persuasive SOP that talks about why you’re making the switch, what motivates you & why you’re best qualified for pursuing MS in Automotive Engg. I have a live backlog in a subject that does not pertain to the core of my subject. I wish to apply for Fall 18. How do I proceed? Should I mention about it on my SOP? It’s always best to clear all the backlogs you may have in any subject before you apply to universities abroad, especially for countries like Germany where universities place a high emphasis on GPA. However, since your backlog is not pertaining to a core subject, it need not be mentioned in the SOP. i have got admits from iit chicago, rutgers, syracuse, njit for ms in data science. I am planning to go to rutgers but i haven’t got any scholarship from it should i go for it ? DOES PAPER PUBLICATION MEAN SOMETHING ONLY IF WE PUBLISH IN INTERNATIONAL JOURNALS? If you’re looking to pursue MS abroad, then it’s best to publish papers in international journals like IEEE etc for maximum visibility & credibility. Q:i have 2 research internships from IITs ? Q: will that help in Research background? Yes, these research internships will surely count as long as it is relevant to your field of interest for MS.
You can add to it by creating/designing projects of your own or even publishing papers based on what you’ve learnt. If you’re planning on working for a couple of years, then that can help too. Is it necessary to have papers published in order to get admission into Stanford or MIT in the Chemical Engineering field? 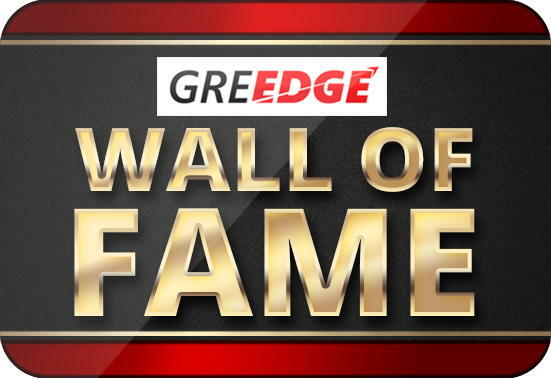 Considering 320+ score in GRE and 9.2 cgpa? Publishing research papers in international journals is one way to display your research experience in your field of interest. You can also boost your profile by creating research projects of your own, pursuing internships at relevant companies, taking up a job for a couple of years etc. The main idea is to ensure you have relevant & sufficient practical exposure to your field. However, do keep in mind that schools like MIT & Stanford are usually involved in heavy inter-disciplinary research work. So, it will be good for your profile to first check what the department of Chemical Engg in MIT/Stanford is currently working on and pursue projects accordingly. I have published my civil engineering research papers in IJASRE and IJERAT journals.Are these good journals to publish papers? The above blog was really very helpful for me but i have seen in certain websites that to get inti RWTH aachen for an indian student in ME, it is mandatory to have a good GATE score. But I am preparing for GRE. Do you have any firm info about this matter?? This Blog was very useful for me because my main focus is to pursue Masters in automobile engineering from RWTH aachen only or you can say my first preference. The only thing that i am concerned is my CGPA. I am in 6th sem and my aggregate is 70% so i am preparing for GRE and GATE both. Will it make any difference in increasing my chances of admit in RWTH if i successfully secure good marks in any of one or in both.What else should i do to cope up my low CGPA impact. Hi, I am planning to pursue MSc in software engineering at RWTH or the likes of TUM or TUB, have a 7.78 CGPA and GRE score of 320, what are my chances and what other options should I consider in Germany. Hey is GATE score still accepted in RWTH Aachen?